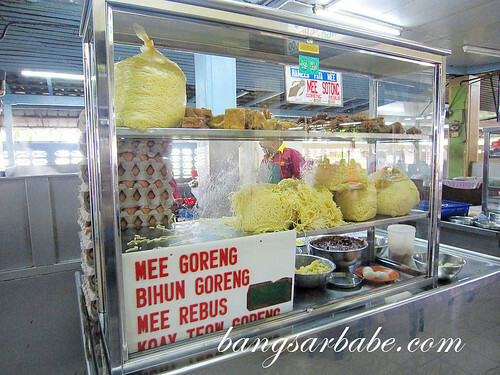 Best mee goreng in Penang? 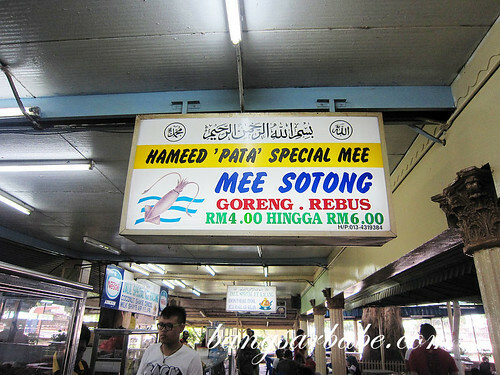 Hameed Pata Mee Goreng in Padang Kota Lama is said to serve one of the best mee goreng in Penang. 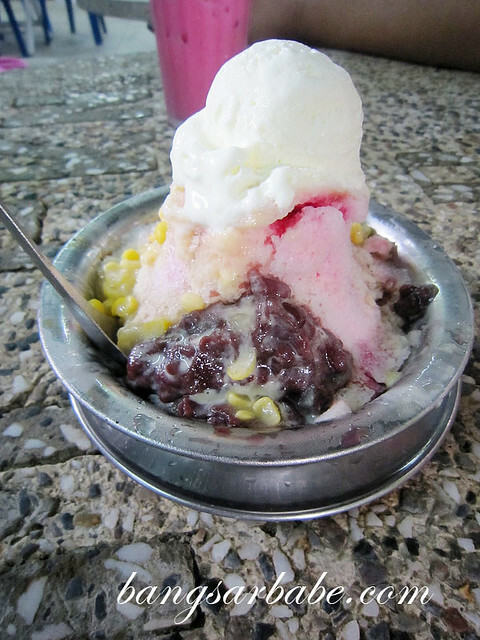 Located in a food court next to Fort Cornwallis, I paid this place a visit just before heading back to Kuala Lumpur. If you’re there during peak hours, be prepared to wait. 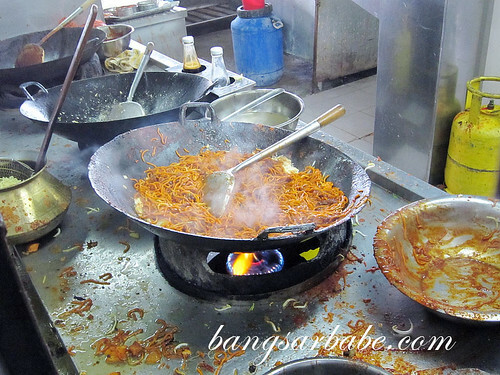 Like Bangkok Lane Mee Goreng, red gravy is added to give the noodles the bright red hue. I ordered a plate of mee goreng special tambah sotong, and the portion was fairly large. Tastewise, I found the noodles better than Bangkok Lane Mee Goreng. 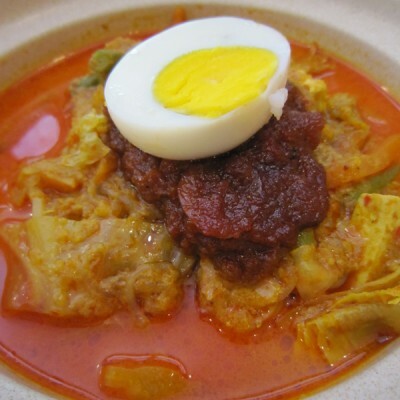 Noodles were well mixed with the sauce and ingredients, and boasted a firm texture. 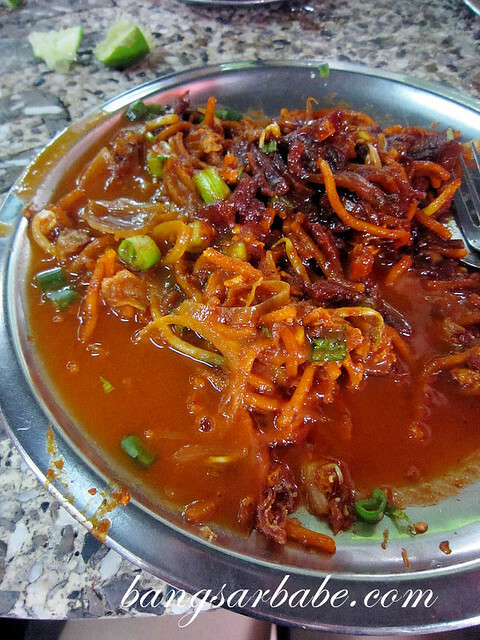 I liked the sotong, which was tasty from the savoury-sweet gravy. 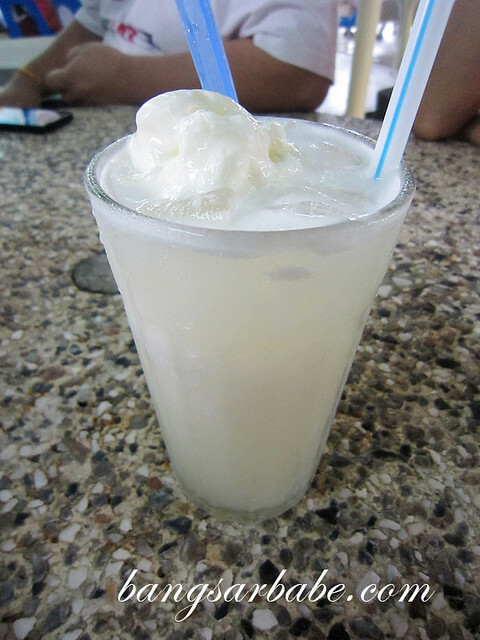 If you can’t take spicy, it’s best to have a cold drink on standby and you will be sweating buckets. Halfway through my noodles, Ken suggested adding some mee rebus gravy to give it a different flavour. 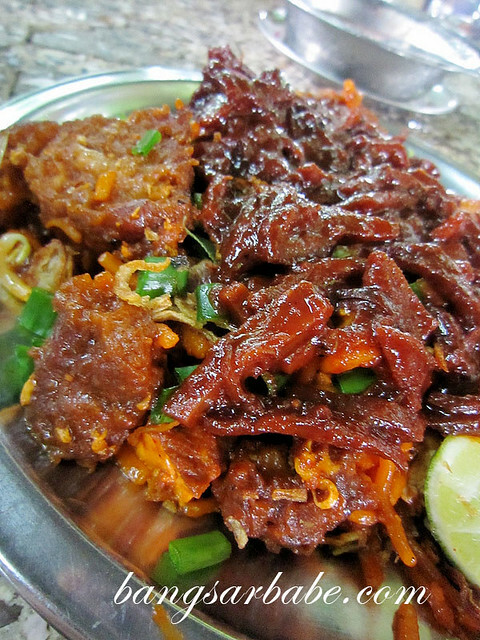 If you like your noodles wet, you mightenjoy this but I prefer this mee goreng the way it is. I overindulged and ate almost two plates of mee goreng. Let’s just say moderation is key because my stomach started its ‘washing machine’ mode an hour or so after the meal. 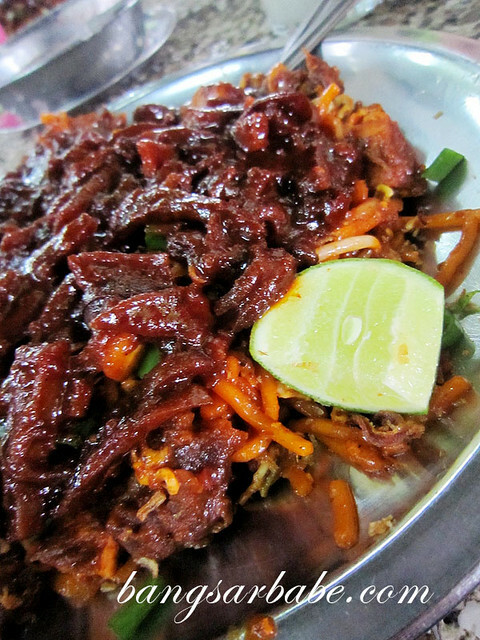 If I’m not mistaken, my plate of mee goreng cost RM6 because I added more sotong. Go try! 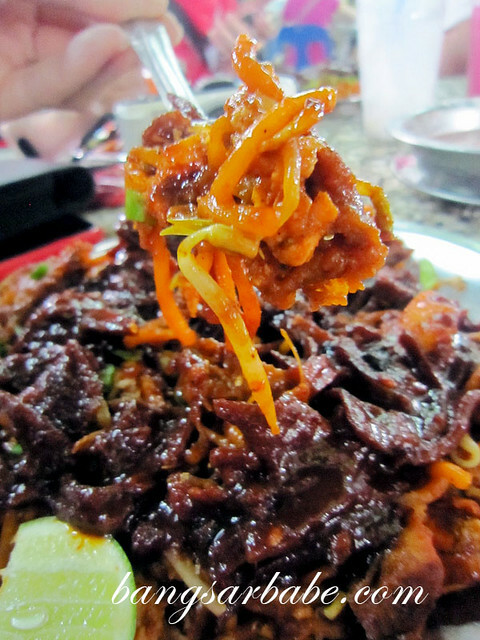 Verdict: If you want good mee goreng in Penang, give this a try.